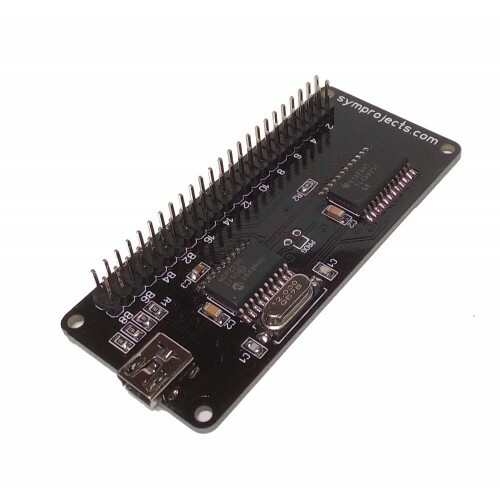 The Pro Shift is a compact and easy to use board which allows you to drive up up 16 LEDs. The size of the board is 74mm x 33mm and it is power by the USB port, so it doesn’t require an external power supply. Every time they are ON. for example a shift light can be configured to blink fast when switched ON. 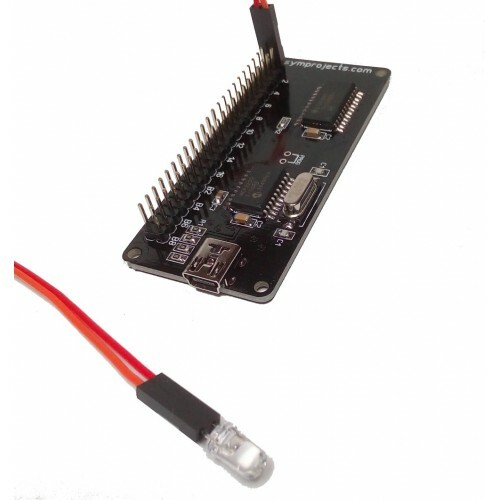 Or the LED can be configured to blink only when some condition occur. For example, the LED indicating that fuel is low lights up when fuel is below 15 litres. And starts blinking slowly when the level is below 12 litres. And blinks fast when below 5 litres. Note that not every data item is available with every simulator. The spreadsheet below contains a list of data items that can be used with every game. Adding warning lighs to display the state of: TC, pit request, hand brake, turn lights, low fuel, high engine temperature, neutral gear. Making a rev counter using an array of LEDs. Using a couple of leds to make a shift light. We suggest using blue LEDs and making them blink at the maximum speed, like in the video below. Creating LED-based displays for fuel level, water temperature or oil pressure. If you would like to receive a different combination please, send an email to contact@symprojects.com after you have placed your order. 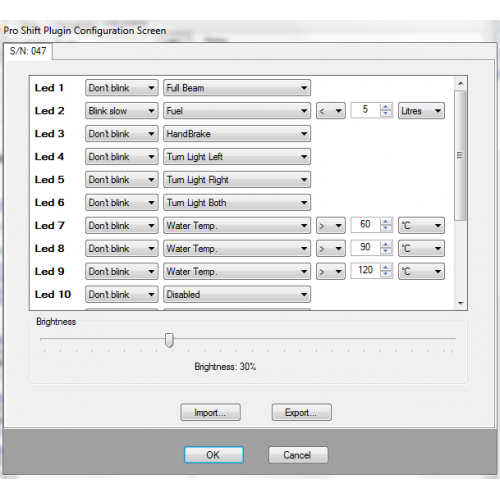 No external resistors are required because the Pro Shift takes care of limiting the current to the LEDs to the value set in the configuration screen. When the brightness is set to 100% the LEDs receive a 15mA current. The last 8 rows of pins on the right hand side of the board, marked as B1…B8, are used to connect up to 8 push buttons. In order to make use of these buttons, the Pro Shift’s firmware must be upgraded with an alternative firmware, which is available in the Download area. When the new firmware is installed, the Pro Shift will be detected by Windows as an USB Game Controller with 8 buttons available. 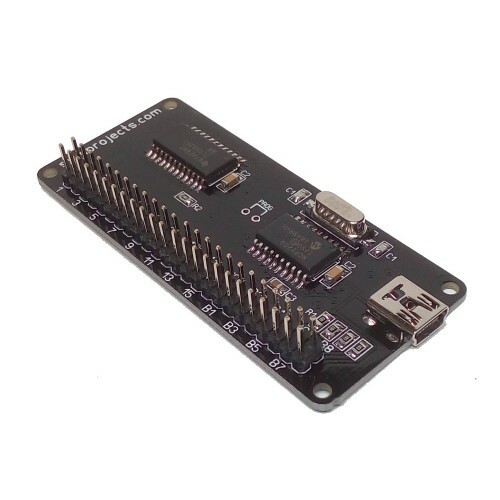 If you need more than 16 LEDs, more Pro Shift controllers can be connected at the same time.